Appearance: clear, bright and natural. No visible sediment. Louche: quick and lovely. milky yet opalescent. Attractive. Aroma: redolent of wormwood with complimentary anise aroma. Minty with hints of baby powder (hyssop) and citrus (melissa). Flavor: smooth and silky. 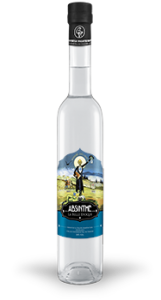 Anise hits you right away, but is mild and not overpowering. The wormwood is flavor-forward as well, but also not overpowering. Instead, you get the refreshing dryness, but no astringence. Finish: smooth with anise, wormwood and mint. mild numbing sensation from the anise. Long lasting. Overall: A solid blanche offering. Complex and tasty. A very traditional profile.